TheLEADERSavills Vietnam has been officially appointed the property manager of Leadvisors Tower, a Japanese grade A office building developed by LeadvisorSanei Hospitality Holdings. This is the first Japanese-standard office buildings in Vietnam. 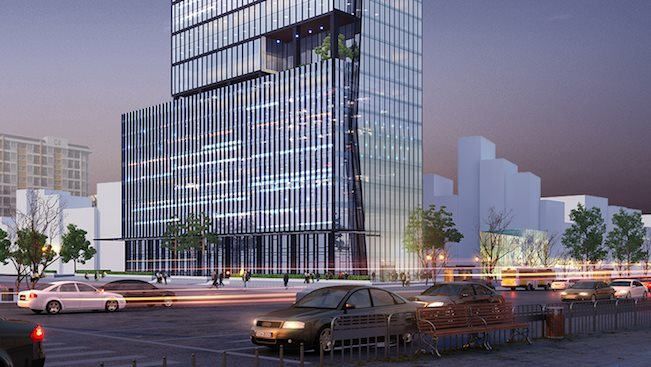 Located on Pham Van Dong boulevard, a major transportation route to the new urban business district in the West of Hanoi, the tower totals 28,000 square metres. The building’s total net leasing space is approximately 20,000 square meters with a typical floor plate sizing from 750 to 970 square metres, meeting various leasing requirements for commercial, office, and showroom. Developed by LeadvisorSanei Hospitality Holdings, Leadvisors Tower is expected to open in the third quarter of this year. Savills will start providing management services in April 2019 with a team of a property manager, an assistant property manager, and a chief engineer. The brand's management and operational services will be adjusted to reflect the Japanese quality of the project and comply with national real estate management standards. Leadvisors Tower is one of the new additions in Savills Vietnam's management portfolio of over 6.3 million square meters across more than 70 residential and commercial developments in Hanoi, Ho Chi Minh City, and Danang.